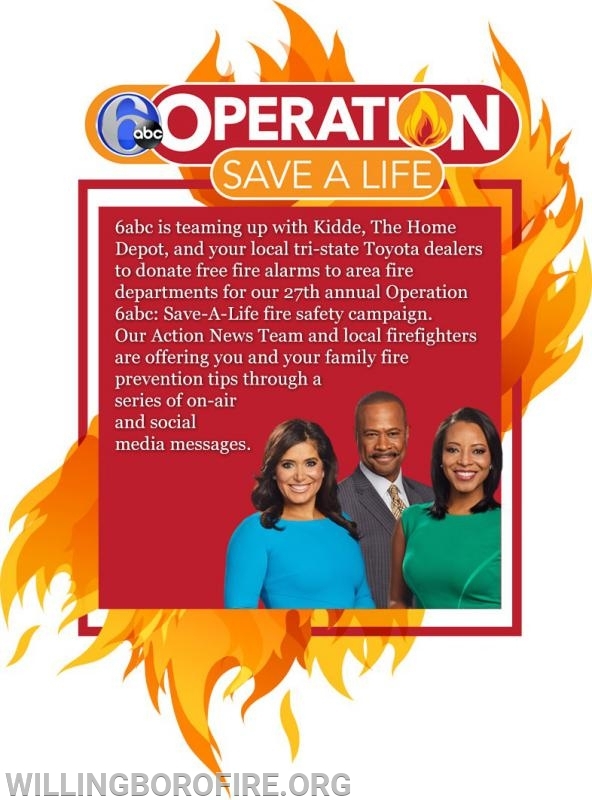 The Willingboro Fire Department was once again represented at the annual Operation 6 ABC Save a Life Fire Safety Campaign. The program, which is in its 27th year, is sponsored by WPVI Television in Philadelphia along with Kidde, The Home Depot, American Water Resources, and local tri-state Toyota dealers. 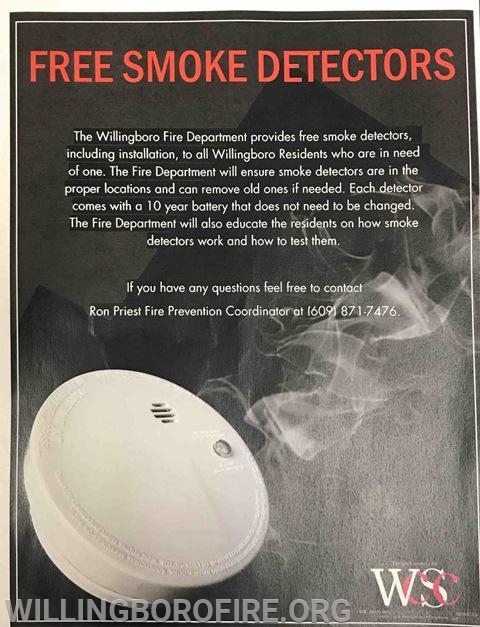 Over the years the program has given approximately a quarter of a million smoke detectors to fire departments from Pennsylvania, New Jersey, and Delaware. The event was held on Tuesday, January 29th at the Philadelphia Fire Academy in Northeast Philadelphia. 6ABC President and General Manager Bernie Prazenica and 6ABC news anchor Rick Willams spoke to the many attendees at the event. Deputy Chief Clark and Lieutenant Fresco represented the department for the presentation ceremony and luncheon. After the ceremony, the department was given 72 Kidde Smoke Detectors with 10 year batteries. 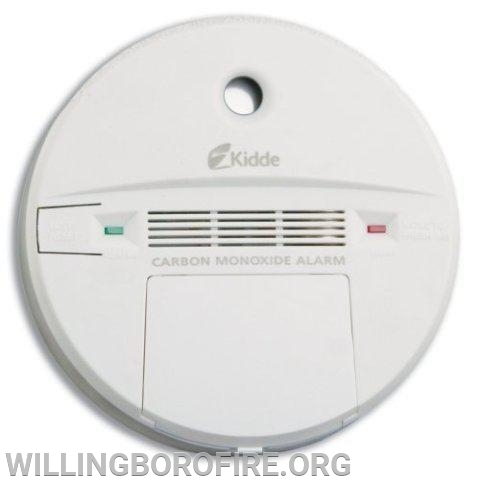 These detectors will be available, free of charge, to residents of Willingboro. 1. 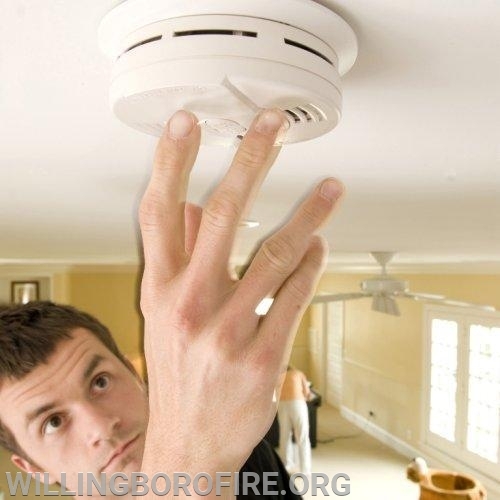 Stop by or call the temporary Fire Headquarters at 40 Middlebury Lane, (609) 871-7476 to schedule an appointment for us to install them for you.